The long-anticipated Game of Thrones total conversion mod for Crusader Kings 2 has come out of beta. 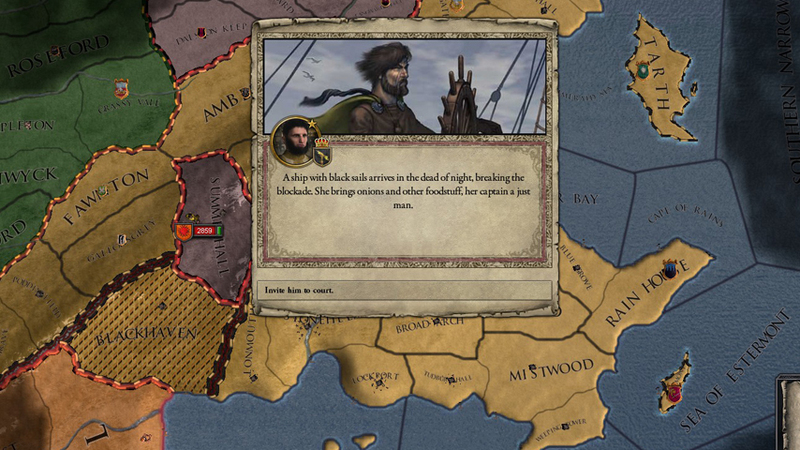 Crusader Kings 2: A Game of Thrones has reached version 1.0, and now contains “pretty much everything in it that we set out to include”, according to the development team. The total conversion mod now includes all World of Ice and Fire material. You can download version 1.0 on ModDB, and it’s important to double check the installation instructions on the mod’s forums – especially if this isn’t your first visit. The full patch notes are there, too. We selected this project as one of the most promising Game of Thrones mods last year. Modders are really delivering the goods while we wait for Paradox and HBO to finally put a ring on it.